Usually, the entire DUI process in Los Angeles or Southern California begins when one of two events occurs. Either when a person is pulled over for a traffic violation or when a person enters a DUI checkpoint. By far, the most common beginning of the Los Angeles DUI process occurs when the officer pulls the suspect over for a traffic violation. The violation most often is either running a stop sign or light, weaving between lanes, speeding or allowing for a simple defect to the vehicle. At this time, the officer will state that he or she noticed what is called the objective symptoms of intoxication. These symptoms include slurred speech, watery eyes and the smell of alcohol on the suspect's breath. If you are stopped by the police for a DUI in Los Angeles, please call Michael Kraut for a free consultation. The supervisors of the police must make the determination for when and where the checkpoint will be set up. The police officers operating the DUI checkpoint must adhere to strict standards established. A clear policy must exist that directs officers in the field with exactly how and when to stop vehicles. The Supreme Court states that there must be numerous safeguards in the checkpoint. There must be warning signs prior to entering the checkpoint, there must be proper lighting and there must be police vehicles that are clearly identifiable at the checkpoint. The checkpoint must be located at a reasonable spot. The time of the traffic stop must be limited, so as to not create traffic problems. Most checkpoints are late at night on side roads. The warning signs at the checkpoint must be clear and create a visible indication of the proper authority that any stop is authorized. The detention at the checkpoint, if any, must be limited in duration so that the length of the intrusion on the driver is minimal and the safety of the driver, as well as other motorists, is not jeopardized by traffic jams. The courts have indicated that, while not a requirement, the checkpoints should be publicized in advance. Once the officer has detected any of the objective signs of intoxication, then he or she will begin the DUI investigation. The suspect will be asked to step out of the vehicle and the officer will begin to administer a series of field sobriety tests (FST). The name comes from the fact that the officer conducts the tests in the field. There are several different types of field sobriety tests, and an officer is not require to give all of the tests at the time of his or her investigation. The officer is also not required to tell you that you can refuse to participate in the tests. The officer may have you blow into a preliminary alcohol screening (PAS) device, which gives an unofficial Blood Alcohol Content. The officer, if trained to do so, will have a PAS meter available and will ask you to blow into the machine. This test, as well as all other FSTs, is voluntary, but you can expect that the officer will rarely, if ever, tell you that you do not have to take the tests. If you are told that you must participate in the FSTs, then you should immediately call a Los Angeles and Southern California DUI attorney for a free consultation. The officer will make you believe that the FSTs are scientific, and therefore accurate, when they are in fact the least reliable of the entire process in the DUI investigation. In theory, the tests are administered to determine whether the officer has sufficient probable cause to arrest you for a DUI. However, many experts will tell you that it does not matter how you do on the FSTs, once the officer smells alcohol on your breath, he or she is going to arrest you for DUI. The officer still conducts the tests in order to gather as much incriminating evidence for the prosecutor to use against you in court. After the officer completes the FSTs, he or she will claim that the driver failed the tests, and the officer will arrest the driver for driving under the influence (DUI). 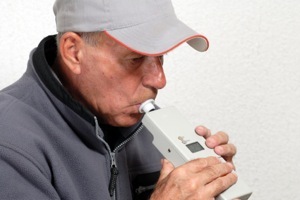 If the driver was administered the PAS breath test in the field, and the driver blew more then the legal limit, the officer will also use that result as "probable cause" to arrest. In a normal DUI case, the officer will place the driver under arrest for DUI, Vehicle Code Section 23152 (a). In order for the officer to make this arrest, the officer must have probable cause to believe that the driver is under the influence of alcohol or drugs, and that the driver's ability to drive the vehicle is impaired. At this time, the driver is placed in handcuffs and taken for a chemical test. The chemical test may be either blood, breath or a urine test, if drugs are suspected. This test is used to determine the level of alcohol in the driver's blood. This is called the BAC test, or the Blood Alcohol Test. The officer, if possible, will give the driver a choice of which test he or she would like to take. The DUI suspect is required by law to take a chemical test. However, in most cases the police will not force you to take a test. Instead, you will just be punished more severely by both the DMV and the court for the refusal. If the driver does not take a test, then the Department of Motor Vehicles will automatically suspend the driver's license for a significant period of time of at least one year; in some cases, the suspension may be longer. If the DUI suspect chooses a breath test, then the driver will be asked to follow the instructions of the officer. The officer will ask the driver to blow two separate times into the machine. At the conclusion of the test, the officer will know the result of the test. The officer will then complete the arrest report and any other supplemental forms. If the DUI suspect selects the blood test, then the police will need to comply with strict rules on the removal and handling of the blood. The sample will be sent out to an approved testing site, and the results will not be known for several weeks. The DUI suspect will then be booked into the jail with a bail that must be made in order for him or her to be released, or the driver will be "cited out" with a future court date. The officer will most likely arrest the DUI suspect for two charges. First, is California Vehicle Code Section 23152(a), driving under the influence of alcohol or drugs; the second is California Vehicle Code Section 23152(b), driving with a BAC content in excess of .08%. In many instances, these are some of the most overworked attorneys. They do not have the resources or time to fully investigate your case. Most often, they are assigned a huge caseload of indigent clients whom the court appoints to represent. The public defender will not handle the DMV portion of your case. The DMV case is one of the most important issues in your criminal DUI case. If done properly, a good private defense attorney will be able to cross examine the officer and get facts to help you in the DUI case, without a prosecutor being at the DMV hearing. Additionally, and maybe most importantly, you cannot choose who represents you. If you do not like the public defender that is assigned to your case, in almost all cases you will have no choice but to remain with the same attorney unless you hire your own attorney. You may not financially qualify for a free court-appointed public defender. If you, or your family, make above a certain amount of money, or if you own a home or have other assets, you most likely will not qualify for the services of the public defender and you will be instructed to either represent yourself or hire a private DUI defense attorney. Finally, public defenders do not have the resources or time to devote to your case like a private DUI attorney. Their time is split between your case and often hundreds of others. Some public defenders have murder cases and other felonies that they are also handling; therefore, their attention is split between your case, which is very important to you, and other cases, which the public defender may consider more important. In most cases, the public defender will not be able to work up the case as soon as it is assigned, like a private DUI attorney will be able to do. A good private DUI attorney can immediately work on your case when you hire him or her, and may also have a private investigator specifically trained on how to attack the government's case against you. In all the years I have practiced law, I have never heard of an instance in which someone represented him or herself and was satisfied in the end. I have even heard public defenders tell DUI suspects that they should go out and hire a well-experienced DUI specialist. DUI cases are both technical and complicated. The specialized training of former prosecutors who are now DUI defense attorneys can make the difference in winning your case. If you represent yourself unsuccessfully, you may have the consequences of a serious criminal conviction on your record. A good DUI attorney will meet with you and the witnesses, if any, and review the police reports. The private attorney can see the legal and factual issues in your case and prepare a solid winning defense with the use of private investigators and other resources. 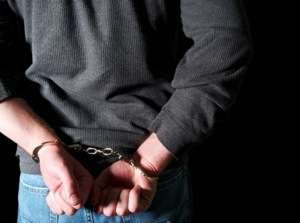 The private attorney will, in many cases, know the police officer involved in your arrest. Sometimes, the police officer is known among defense attorneys as someone who has had many complaints based upon his or her behavior, or equally important, may have faced discipline for handling of DUI investigations. The private attorney will have the knowledge to find these issues and present them to the prosecutor or the court, and assist in a successful resolution in your DUI case. A prosecutor who has handled hundreds of DUI cases from the other side and now works exclusively as a private DUI defense attorney will often be in the best position to know how the government puts its case together and where all the weaknesses are in the case, which could lead to a reduction of the charges...or in the best case, a full dismissal. Additionally, the DMV hearings are very technical in terms of evidence presented and what the government must prove to suspend your driver's license. Choosing a private lawyer to represent you can be a difficult choice. Not every attorney who handles a DUI case is the same. Some DUI attorneys charge less because they handle a volume of cases. If that attorney is handling a volume of cases, then you may find yourself in a similar position as if you had retained a public defender-- too many cases, not enough resources or time to put into your case. Remember, time is of the essence at this point; you have 10 days to request a DMV hearing, otherwise you will have waived your right to contest the order for suspension. You need to hire an attorney immediately. Once you are arrested and are home, you will be receiving countless solicitation letters from criminal attorneys. These letters are considered to be illegal and you might want to think if you want to hire this type of attorney. In addition, they will make you promises that they are unable to keep and claim to charge you little. Those attorneys have companies sending out the letters and you are simply being placed in a mill. You may look around to find someone who is an expert on DUI law. If the lawyer owns a large DUI firm, or the attorney you see on informational videos or a DUI website, is what attracts you to secure a meeting, be careful. Often, if they even meet with you at all, it is just to get you to sign up. Then you will be handed off to a young lawyer who might not have much experience in this area of the law, or know the judges or prosecutors in the area where your case is going to be handled. A good DUI attorney (who used to be a senior trial prosecutor for almost 15 years with over a 98% success rate in criminal jury trials taken to verdict) has the expertise that you are going to need. You will find that the DUI defense attorney with experience in all aspects of DUI-type cases--from a first time DUI to a felony DUI with injuries or death--will understand the technical information necessary to protect your rights and your interests. You have a lot at stake in a DUI case. You may loose your rights to drive, your employer may fire you for having a criminal record, and your insurance rates will go sky high. The court costs are enormous, you will need to take time off from work to attend DUI classes and you will live with the stigma of a criminal record. In many instances, inexpensive lawyers may work for someone else; each time others have to go to court or fight the prosecutor on complicated evidence issues, they will try to plead them out and move on to the next case. Remember, they make their money by volume, not quality of work. There are no bargains when hiring a defense attorney. There are ever-emerging new defenses in DUI cases, and you need someone with the education, training and past job experience to deal with and identify the complicated defense that could make the difference in your being convicted of a DUI and being found not guilty. A well trained and educated private DUI attorney is capable of finding a way, if there is one, to suppress the chemical tests at pre-trial hearings, and thereby suppress the evidence against you. If that is done, then the government most likely will have no case against you. Once you have been arrested, the officer will hand you a form called "Suspension Order and Temporary License." In effect, your license will be automatically suspended, effective in 30 days, unless you file a request for a DMV hearing within 10 days of being given the order. The document that the officer hands you is actually a temporary license. Many people believe that the license suspension will not take effect until the court case is completed. This is not true. Once you have been given the suspension order, you have 10 days to request the hearing. Once the request occurs, then the suspension is automatically postponed until after the hearing is held. There are two types of hearings. The hearing may be either by telephone or a live hearing in which the officer is also brought to the hearing. The choice is very important. It is almost always advised to have a live hearing. This is the only time that a private DUI attorney can cross-examine the officer without the prosecutor being there to protect the officer. Your private DUI attorney can call your witnesses and have them testify. In many cases, your witnesses will contradict the officer. At the hearing, there will be a hearing officer, not a judge, who will decide if you were driving the vehicle when the officer pulled you over and if the officer arrested you lawfully. Finally, the DMV hearing officer will determine if you were driving with a BAC level above .08% (by body weight) at the time you were driving the vehicle. The private DUI attorney may file legal motions and can make technical legal arguments to convince the hearing officer that the license should not be suspended. Often, next to the arrest, this is the scariest and most intimidating moment in the process the DUI suspect. This is the first time that you may appear in court. In California, if you are charged with a misdemeanor, your private DUI lawyer may appear at the arraignment on your behalf. In most courts, you may never have to appear in court and your attorney can appear on your behalf. This will save you from taking time off from work and the possible public embarrassment of being in court. If a plea deal is worked out, you may still not need to appear in court. If you do not have an attorney, you will need to appear in court and will be formally charged with the DUI. At the arraignment, your attorney will enter a plea for you of "not guilty" and receive the "complaint." This is the "charging document" that the prosecutor files with the court. The prosecutor will give your attorney the police reports and the results from the chemical test. This is called the "discovery". The court will then set the case for a pre-trial hearing and may, at the same time, set the case for trial. The pretrial hearing will usually be set about one month after the arraignment. After the arraignment, the court has now set the case for the pre-trial hearing. At that time, your attorney will have had time to meet with your witnesses, interview them and gather more evidence to assist you. Your attorney will meet with the prosecutor again. The prosecutor will turn over any additional evidence that has been gathered. The prosecutor will also turn over the items that your private DUI attorney has requested. This is the time that a motion to suppress that evidence is made. That motion may be on the grounds that the officer made an illegal stop or that your arrest was illegal. Additionally, motions to attack the validity of the chemical test may be made. Once the prosecutor sees that the case is not as strong as first thought, then the negotiations for a settlement begin. If the motions are granted, the case may be dismissed. In other cases, this can result in a reduction of the charges. There may be more then one pre-trial; if the case is not resolved, then the case will be set for a jury trial. If you are charged with a misdemeanor, your private DUI attorney will be able to appear on your behalf and you will not need to come to court. If you are charged with a felony, your private DUI attorney, in some instances, may also be able to appear on your behalf. Only about 5% of criminal trials ever go to jury trial. Most are settled or dismissed long before the trial. Cases can be dismissed because evidence gathered by law enforcement was suppressed, or because the prosecutor believes that the government has a weak case. A private DUI attorney is often in the best position to ensure that the case is prepared and "worked up" for trial. If your case cannot be settled before trial, then you will need to be present for the jury trial. At trial, 12 jurors will listen the prosecutor's witnesses, the cross examination by your attorney and any evidence presented by your attorney. The cross examination of the prosecution witnesses is often the key to your acquittal. A private DUI attorney who used to be a prosecutor understands what the government is trying to keep from the jury, which could harm the government's case. Your attorney will make sure the jury hears all of the evidence. After all of the evidence is presented, then the attorneys will make their closing arguments. In some cases, the court will give the jury a chance to come to a verdict on a lesser charge than the crime with which the prosecutor originally charged you at the arraignment. Then, the jury will go into the deliberation room and review all of the evidence to come to a verdict of "guilty" or "not guilty." In order for the jury to find you guilty, all 12 jurors must be convinced, beyond a reasonable doubt, that you committed the crimes with which you were charged. Only if the jury finds you guilty can you be convicted. In some cases, the jury may find you guilty but your private DUI attorney may file motions to persuade the court that the verdict should be overturned. If the court agrees, then your case may be re-tried or dismissed. If all of the jurors cannot reach a verdict, then the case may be "hung." At this point, your private DUI attorney will make motions to dismiss the case and fight the prosecutor's motion to retry the case. The legal knowledge of your attorney at this point is imperative to protecting your rights. You, the client, will make the decision as to whether your case goes to trial. You private DUI attorney will discuss all of your options, defenses that you may have, in addition to the pros and cons of going to trial. However, the ultimate decision is going to be up to you. If all goes well, then you will have your case dismissed or be found "not guilty." Your private DUI attorney will make sure that any possible motions to seal or destroy your record will be filed with the court. Additionally, your private DUI attorney will make sure that the DMV is notified and provide you with the necessary certified documents to provide to the DMV, your insurance carrier, and if necessary, your employer. If you are found guilty by the jury, then you will have to go to DUI educations classes, may be placed on probation and will have fines to pay. If you are placed on probation, then your DUI attorney will go with you, if necessary, to court and make sure that the court is satisfied that you are doing well on probation.